The emergency cut in the Fed Funds rate by a record 75 basis points Tuesday may not have surprised Wall Street traders, but it is important to note the Federal Reserve is the only major Central Bank that has responded directly and actively to the recent credit crisis and the widespread demise in global stocks. The Bank of Canada did also cut rates Tuesday but this was expected by markets and that decision came out of a prescheduled monetary policy meeting. It is obvious the only reason the Fed acted when it did on Tuesday was to try to avert the type of carnage on Wall Street which had engulfed European and Asian stock markets over the previous 36 hours, when US markets were closed for a holiday. There was no new economic data available to the Fed since Mr Bernanke spoke on January 17, which begs the question as to why the Fed felt it had to act ahead of its regular policy meeting, scheduled for next week. The move Tuesday appears to have been a huge gamble and if it fails to prevent a major sell-off of stocks over the coming days, it will go down as one of the greatest ever blunders by a major Central Bank. The surprise action will have spooked many investors who believe such a drastic move would only be taken if the US economy was already in a recession or on the brink of a catastrophic market crash. The pre-emptive action will not have gone down well with other Central Bankers who identify the Central Bank role as one of chief policymaker to protect an economy from the adverse effects of inflation/deflation. In the world of the ECB and Bank of England, economic growth stems from sound monetary policy decisions, which in turn are made in the pursuit of inflation control. It is true that the other Central Banks, primarily the ECB and the Bank of England do not share the experience of the Federal Reserve when it comes to averting economic disasters, but the key differential between the two views is that the Fed deems itself to have a dual mandate, one for stimulating economic growth and the other for curbing inflation, while the ECB and the Bank of England are focused exclusively on inflation control / price stability. The ECB in particular are polarised in their thinking and have not wavered in their hawkish stance despite the recent turmoil. The Bank of England for their part are a reactive force and have a history of acting slowly when it comes to making key monetary policy decisions. The UK economy is adjudged by many to be facing much the same economic challenges in 2008 as the US, yet the Bank of England has only eased 25 basis points in recent months against the 175 basis points from the Fed. This is an even more startling difference when one throws into the equation the fact that headline consumer price inflation in the UK in December was running at an annual rate of 2.1%, against a dangerously high 4.1% in the US. The UK also started the current easing cycle at a higher rate of interest than the Fed funds rate – 5.75% Vs 5.25% and with rates now at 5.50% Vs 3.5% respectively, the differential has grown from 0.50% to 2.0%. Clearly the Fed and the Bank of England have very differing views on inflation outlook for this year and while the Fed is prepared to gamble and be aggressive during a period of rising inflation, believing inflation will soften, the Bank of England is not. A major problem for the Fed is that if does acts alone, the aggressive shift in interest rate differentials will see the dollar’s demise extend, imported inflation rise and see the US fall into an a protracted period of stagflation (inflation exceeding growth), something that will terminally damage the economy. CPI Rate Dec 2007: Headline: 4.1%, Core: 2.4%. Only major Central Bank to actively respond to major credit crisis which unfolded last August and dropped its key interest rate to 4.75% in September. The Fed was alert to poor economic data out of the US in the final quarter of 2007 and cut rates by 25 basis points in both its October and December meetings. Prevented a stock market crash on Jan 22, bringing forward an interest rate decision by a week, when it announced a cut of 75 basis points in the Fed Funds rate, the largest single-day cut in history. Accused by many of not having been proactive enough and should have cut interest rates much sooner to stave off the threat of a recession. Inflation is rising at a time when the Fed is easing rates aggressively and Bernanke stands accused of largely ignoring the growing inflation risk. 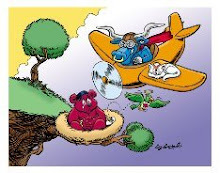 The Fed delivered large rate cuts in September (50 basis points) and January (75 basis points) in response to major dips in stock market prices, as opposed to specific dips in economic data and many see the Fed as the custodian of Wall Street, moreover Main Street. Current Fed policy seen as an irresponsible attempt to force short-run economic growth at the expense of long-run sustainable economic growth which is the Fed’s actual remit. Current asset bubble and credit crisis is the Fed’s own baby in the sense it was born out of the last major set of aggressive interest rate cuts from the FOMC back in 2001, when rates fell to 1%, leading to cheap money and complacency on the part of lenders. What to expect from Fed in 2008: Rates could now go as low as 2.50% by the March meeting and it will then be a wait and see policy from the Fed to see if the gamble pays off, although having pared off most of the interest rate already by then, the Fed will have little in reserve. Will be due most of the credit if US avoids a recession but will have a massive credibility issue hanging over it, if inflation continues to rise in the coming months and the economy moves into a prolonged slump. Responsibility: Price stability and to support a "high level of employment" and "sustainable and non-inflationary growth". CPI Rate Dec 2007: Headline: 3.1%, Core: 1.9%. Market always knows where the ECB stands on policy and the press conference after each monetary policy meeting is both direct and informative. The ECB sticks to its mandate and is thus far unwavering in pursuit of its policy objectives in the face of pressures from politicians and financial markets. Has kept inflation firmly anchored in the euro area (to the last quarter of 2007) and in the past two years has overseen a period of sustained economic growth for a diverse group of 13 (now 15) nations. It quickly poured funds into markets to shore up liquidity during the financial market crisis last August. Does not see stimulation of economic growth as its responsibility and it is currently threatening to hike interest rates at a time when the euro economy is slowing. The ECB doesn’t take an official vote when deciding on monetary policy and markets don’t know the extent to which views vary on the monetary policy committee. The ECB has done little or nothing to alleviate the ‘crisis’ that has plagued financial markets since the turn of the year. The ECB helped to make money cheap (interest rates were just 2% up to December 2005) something that has led to the asset bubble which threatens current economic stability. What to expect from ECB in 2008: Will most likely keep rates on hold for the first quarter but inflation may ease sharply if the global slowdown takes root, thus opening the way for a rate 0.25% cut during the second or third quarter. Likely to have underestimated the potential slowdown in euro growth and will stand accused of not having acted soon enough, although the ECB will claim their only remit was to control inflation. CPI Rate Dec 2007: Headline: 2.1%, Core: 1.4%. Presided over a sustained period of remarkable growth in the UK economy. Managed to drive UK inflation down from a 3.1% headline rate this time last year to the Bank’s target 2.0% rate in the Autumn and has since managed to keep UK inflation anchored, when consumer prices were significantly on the rise elsewhere because of the spike in energy and food costs. Generally reactive and very slow to adopt a policy change. The inflation problem in late 2006/2007 had much to do with the Bank’s original failure to act soon enough, when growth began to expand from early 2006. The Bank handled the whole Northern Bank fiasco (first run on a UK bank since the 1800s) abysmally and this episode greatly tarnished the Bank’s reputation and the reputation of its Governor. With a major credit crisis underway in the financial sector (one of the mainstays of the UK economy), growing evidence of slowing growth, falling retail sales and falling house prices, the Bank of England has since September cut its core interest rate by a measly 25 basis points and is not doing enough to prevent the UK economy from a sharp downturn. Consensus appears to be a difficult position to reach for the Bank of England Monetary Policy Committee, with many split and narrow votes and this has undermined the role and the influential ability of the Bank’s Governor. What to expect from Bank of England in 2008: The Bank will probably cut by 25 basis points in February but it won’t be nearly enough and events could overtake them, forcing the Bank into an aggressive series of cuts thereafter which could see a further 100 basis points pared off by the summer. If the UK suffers a severe downturn or a recession later this year, the Bank of England will be put forward as the principal culprits, for having chased the hare after it has bolted.